Air-conditioning systems can be breeding grounds for bacteria and viruses, particularly if they are not cleaned regularly. What’s more, air conditioning systems can distribute these pathogens throughout the entire room. 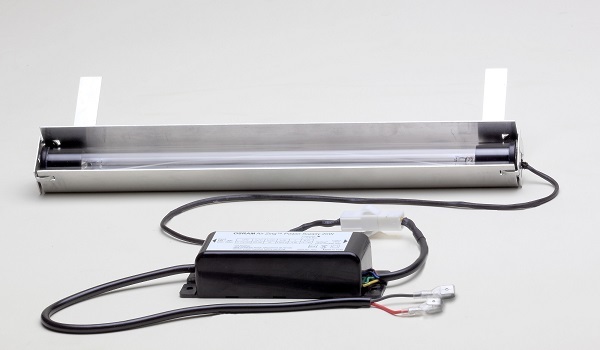 With Air Zing 2020 from Osram, a UV light based retrofit solution for window air conditioning units these germs and organisms are being effectively combated for the first time. The UV light produced by the device covers the air and the heat exchanger within the air conditioning system, deactivating organisms such as mold, bacteria and viruses. Zing 2020, for which a patent application has been made, was developed in Germany specifically for the Indian market. Maintenance firms can now upgrade any window air-conditioner with the independently approved Air Zing 2020 without any extensive or expensive installation work. The ultraviolet light source, which needs to be replaced once a year, ensures that the air in a room is improved round the clock without the need for chemicals – in stark contrast to conventional air purification systems which lose their effectiveness over time. Air Zing 2020 from Osram. UV light has a number of benefits. It suppresses the formation of mold within the airconditioning system. This reduces the breeding ground for other pathogens such as viruses and bacteria, preventing them from multiplying. The ultraviolet light also disinfects the air as it passes through the air conditioning system. The quality of the air in the room is significantly improved as a result – and the risk of people in the room picking up infections is diminished. In addition to the health aspects, Air Zing 2020 has economic benefits. Installed in a window air conditioner it suppresses deposits on the heat exchanger and therefore helps to maintain the energy efficiency of the system, leading to a sustainable reduction in electricity costs. For more information go to www.airzing.in.